I love dressing myself and my kitchen for the season so when Didriks put up this post on Autumn color I knew I just wanted to link it here! 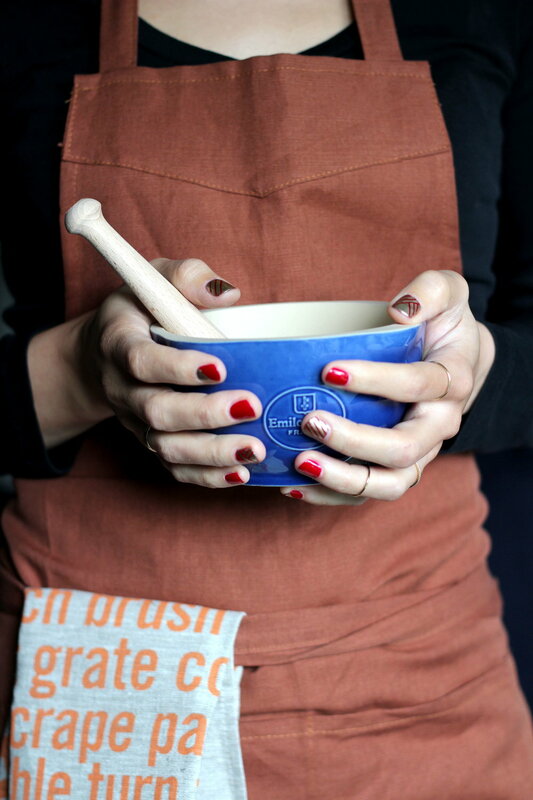 Pictured here is a Libeco Home Bistro Apron in Copper, a StudioPatro kitchen towel in “Bake” and an Emile Henry Mortar and Pestle. I adore everything about this post. The color, the light, the nails! Go check it out!